Create, capture, store and distribute. ProFiler is the complete IBM i document and content management for the IBM i enterprise. With ProFiler you can enjoy paperless office technology and replaces paper-based processes with electronic procedures, eliminating the printing, posting and manual filing of paper documents. Fully compatible with the other products within the solutions suite, Utilities 400 offer a single platform for application development, intelligence, automation and integration.  Document Management System that was as simple to use as Google... and integrated fully with RouteOne, providing power and simplicity to our users. Go paperless and automate key business processes by electronically creating, capturing, managing, and distributing documents and forms in multiple formats.